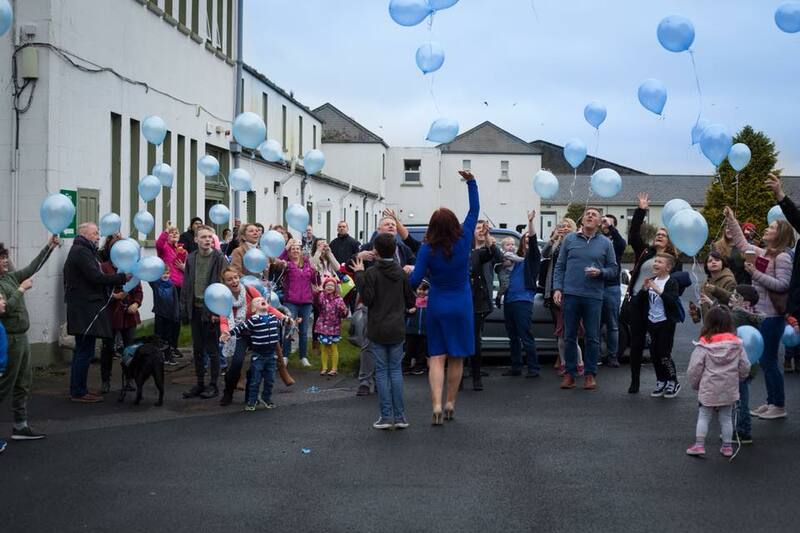 World Autism Awareness Day which took place on Easter Monday 2nd April marked a very significant day for all those within the Autism community. We were very proud to attend this day which was celebrated at Autism Ireland headquarters in Multyfarnham, Westmeath. Families and volunteers gathered together for the day in solidarity and support for one another. Centered around children who are on the Autism spectrum, the day was filled with lots of fun and activities for all the family, from magicians and an Easter egg hunts to balloon releases, face painting , lots of goodies, and of course the launch of Irelands very first Autism specialist radio station. Core to this event was the Autism Heroes Awards ceremony which honoured those who have made a significant contribution to the Autism community. Quest Recruitment in conjunction with G4S were delighted to be positioned on the judging panel for these awards. We highly commend all of the entries for the Autism Heroes Awards 2017, for which we were astounded by the level of work these everyday heroes carry out on a daily basis. While it was extremely difficult to pick just five winning entries, we believe our five winners are the epitome of selfless, determined and remarkable people who couldn’t be more deserving of being awarded for their endlessly hard work. Rebecca has been awarded the Autism Heroes Award for her tireless work with families in the Wicklow area. As Vice Chairperson of the TripleA Alliance, her work when it comes to its service for people and parents with kids of Autism/Asperger’s and ADHD is outstanding. The TripleA Alliance acts as a safe haven for parents to go and get the support they desperately need. On a personal front, Rebecca has fought her hardest to receive services for her own son Charlie who is ASD, doing all of this while working a full time job. We are proud to recognise her for her hard work and dedication. Over the past ten years, James has dedicated himself to bringing sporting activities, in particular Judo, to a vast number of children and adults with Autism both here In Ireland and many countries across the world. His dedication and personal attention to all student s is both commendable and relentless. In addition to the creative, fun weekly classes he runs in Tipperary, Galway and Offaly, he also runs classes in established Autism units and schools, county child services and Enable Ireland programmes. His Judo club model centers on an inclusion programme, which has been specifically designed to encourage physical activity to a large variety of individuals. Currently he operates two strands of participation within the programme which includes Strand One, which integrates mainstream students with students of additional needs and autism. Strand two of his programme concentrates on higher dependency children and adults with autism. In 2017 alone, James successfully delivered adapted coaching courses to over 800 coaches in six countries including Ireland, England, Switzerland, Greece, Italy and Romania. At the young age of 7, Ethan has showed the country that Autism is an ability not a disability. Ethan, having discovered Karting has taken part in two championships, placing in the Leinster championships after only sitting into a Kart for the first time in June! His love for this sport has brought a smile to all his family and friends at the Tully Allen Karting club. Liam has worked non-stop over the last 12 years with fundraising efforts including an extensive amount of advocacy work. The work directly relates to his involvement with i.C.A.R.E, Inishowen Children’s Autism Related Education, an Autism specific charity covering the Inishowen area of Donegal. Since 2005, Liam has been a conscious campaigner and promoter of the Autism Community. Throughout this time, he has constantly worked towards promoting the overall aims of the charity which supports respite to over 100 families who have children with autism. Contributions from the public during Liam’s time at i.C.A.R.E have surpassed €170,000. In addition, Liam set up a very successful youth club for young people with Autism in 2012. The youth club offers the young people so many opportunities including a safe haven to socialise, opportunities to develop interpersonal skills as well as recreational, fitness and art activities. Jane has tirelessly campaigned not only for her two autistic sons but for all children with special needs. Much respected by her community for the work she continues to do to highlight her family’s plight and the plight of other families, her fighting spirit is admirable. Jane has also spoken out on national and local media and is the 2016 winner of the South East Radio Outstanding Achievement Awards.